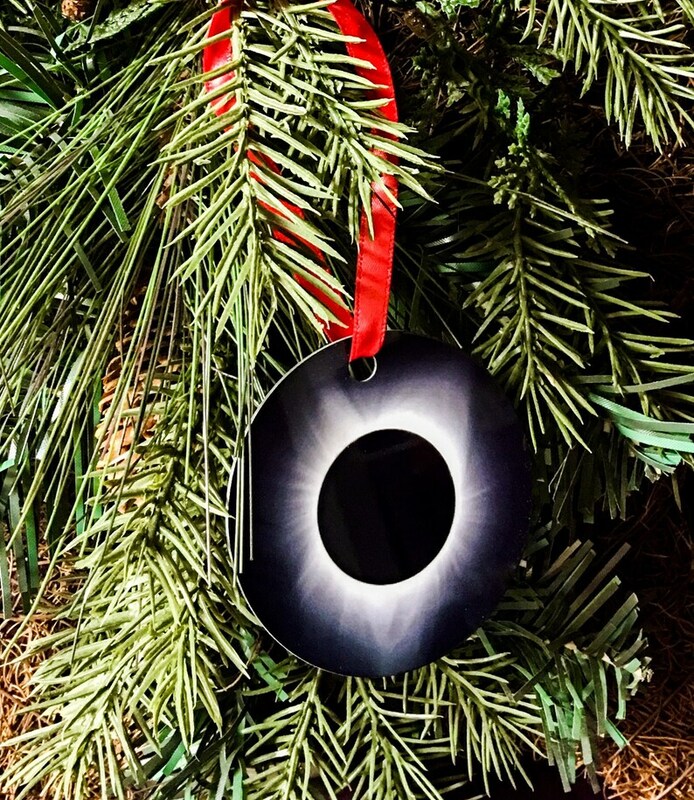 Total solar eclipse ornaments are now available. They are 2.75" round double-sided die cut metal and professionally-printed. 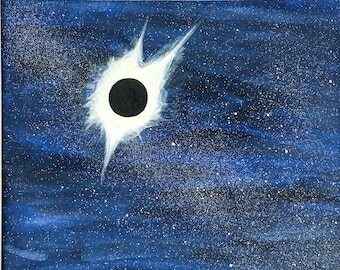 Buy a unique remembrance of the 2017 Great American Eclipse! 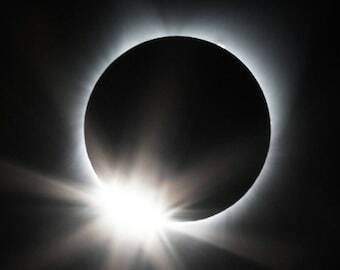 For sale is a double-sided 2.75" round metal ornament with a photograph of the total solar eclipse professionally printed directly on both sides of the die-cut metal. A red ribbon is included. This is a very sturdy metal ornament that will last for years to come! The ornament will have the fine detail that is shown in the photograph with the white background that includes the measurements. 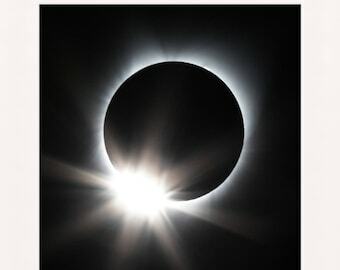 Great total eclipse souvenir or gift for the astronomy and science enthusiast! 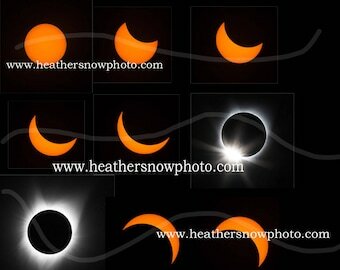 All photographs that I sell have been created by myself, and I retain all rights to my photographs. There are always combined shipping discounts. If not calculated properly at checkout, shipping refund will be made once accurate postage costs are calculated. Just as described and my brother-in-law loved this gift!